DxOMark is considered by most to be a fairly definitive source for smartphone camera quality ratings. Their tests are in-depth and extremely involved but there has always been one thing lacking- a selfie camera quality test. Today DxOMark have announced their new DxOMark Selfie test protocol for smartphone front cameras and have ranked some of the phones already. DxOMark Selfie is based on the same procedures used for their DxOMark Mobile testing but have adjusted it to fit the way selfie cameras are used. 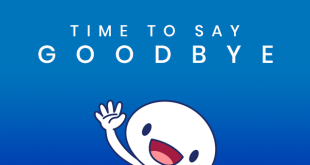 There are solo photos, selfies with friends, indoors, outdoors, natural scenes, in lab-controlled scenes, hand held and on a selfie stick from three different distances. These pictures are then all evaluated using specifically designed software to create scores for: exposure, colour, focus, texture, noise, artefacts and flash which are then weighted to produce an overall score. 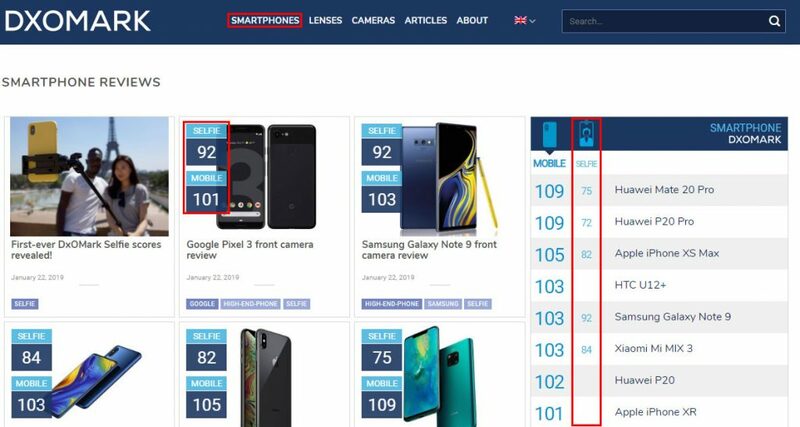 As you can see in the images above the highest scoring phones were the Google Pixel 3 and the Samsung Galaxy Note9. 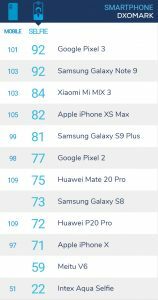 Their photo scores were way ahead of any other phones resulting in their overall scores being a fair way out in front of phones such as the Huawei Mate 20 Pro, the Apple iPhone XS Max and the Huawei P20 Pro. It is interesting that the phones at the top of the regular DxOMark rankings were only middling here but we do know that Google did put a lot of focus on their selfie camera with the Pixel 3. DxOMark plan on updating the scores regularly with not just high end phones but also mid-range and entry-level phones. 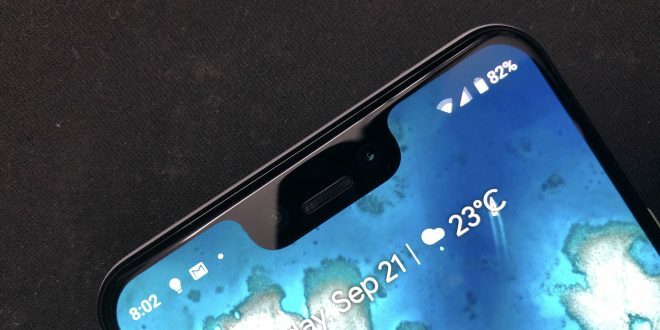 In the future we will see each phone come with both a mobile (rear) score and a selfie score allowing folks to get an overall picture of the quality of all of the camera on a smartphone. How much value do you put in a selfie camera? As someone who is often alone with my kids I love a decent selfie camera as I take a lot of photos of them with me myself — bit hard to do that with a rear-facing camera.